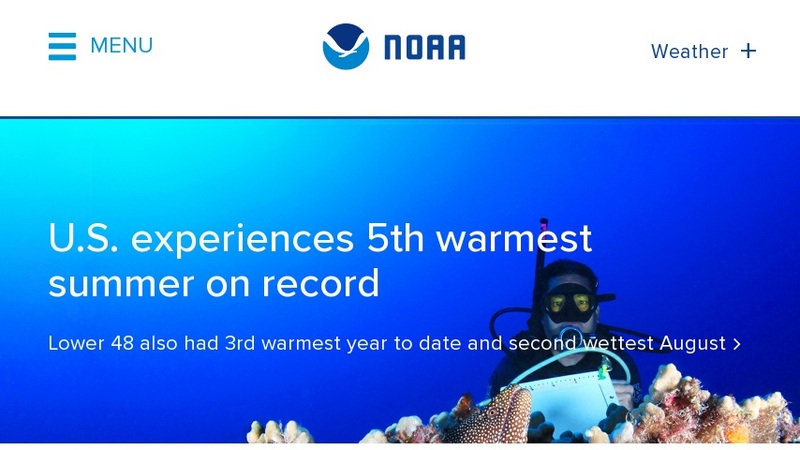 This is the home page for the National Oceanic and Atmospheric Administration (NOAA). The goal of the National Oceanic and Atmospheric Administration is to describe and predict changes in the Earth's environment, and conserve and wisely manage the Nation's coastal and marine resources. This page provides access to the many component organizations, educational resources, and opportunities at the National Oceanic and Atmospheric Administration. Some of the resources include: weather forecasts, threats assessment, excessive heat outlook, heat and drought awareness, fire satellite images, and current weather satellite images. In addition, it contains news stories related to current atmospheric and oceanic issues as well as media advisories.